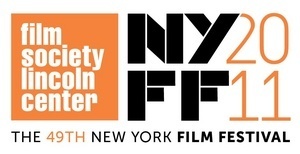 The 49th New York Film Festival has kicked off–or at least it has for those of us with press passes! Stay tuned to LitaOnFilm as I bring you reviews of some of the most anticipated films of the year from giants like Polanski, Cronenberg, Almodovar, and more! And if you’re in town, stop by for a screening or two; the Film Society has wonderful screening venues, and is next door to the Met, the NYC Ballet and Juillliard–the heart of fine art and entertainment in New York City!